Calcium Prevents Osteoporosis But Can You Absorb It? Calcium prevents osteoporosis! So let’s all take more calcium, right? Not necessarily. We can ingest calcium but if we don’t have the synergistic factors for absorption and digestion it can cause more harm than good. How can too much calcium cause harm? First let’s remember if you don’t have the proper pH in your stomach, it doesn’t matter what form of calcium you take it’s not going to be fully utilized. Minerals must be cleaved from their substrate, ionized and then attached to amino acids for transport and absorption. Hydrochloric acid decreases as we age, subsequently osteoporosis is more prevalent as we age due to the lack of all minerals not just calcium. More and more clinicians are discovering that “over the counter” and prescription antacids as well as stomach acid blocking agents are creating serious problems. By decreasing physiologic levels of hydrochloric acid, the mineral availability of our already mineral depleted diets is further compromised. What happens when we get too much calcium or calcium in an unusable form? 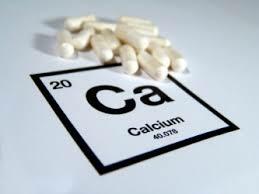 Calcium abnormalities show up as bone spurs, kidney stones, and calcium deposits on mammograms and heart scans. The lack of proper absorption of calcium can cause calcium deposits which are related to osteoporosis, heart disease and heart attack. Remember too much calcium can push out or displace other minerals like magnesium and potassium which are two essential minerals for heart health. Commonly, white specks on finger nails are considered to be “zinc deficiency” spots. I think they are indicative of a general malabsorption of minerals. A veteran nutritionist at Biotics Research shared that she had numerous specks on her nails for years despite zinc supplementation. She also had calcium deposits on her knuckles but found that when the calcium deposits were eliminated all the white specks on her nails disappeared She also saw this pattern with her patients as she changed people’s diets and fixed digestion. She came to this conclusion by accident many years ago when she first noticed calcium deposits on several of her knuckles. They not only hurt but were unsightly. She also had a mammogram which revealed numerous calcium deposits. 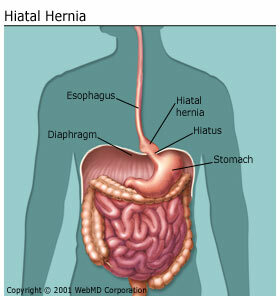 She had always had digestive problems including heartburn, hiatal hernia, and lack of hydrochloric acid in her stomach. She started taking Hydro-Zyme, a HCL supplement. Hydro-Zyme contains 2 mg vitamin B6, 150 mg Betaine Hydrochloride, 10 mg Pancreatin 4x (from porcine), 10 mg Pepsin, 50 mg Glutamic Acid and 35 mg Ammonium Chloride. She also added Betaine Plus HP, a high potency hydrochloric acid supplement, to correct her heart burn, and other digestive and absorption problems. Within approximately 6 months all the calcium deposits on her fingers were gone. She’s never had them since. That’s amazing! She also spoke about her son-in-law “Bob,” and his family history of kidney stones. Each of the six members of his family had gone through numerous painful episodes. After he experienced three bouts with kidney stones within a year, he decided to try to do something about the calcium utilization problem. By taking 2 Hydro-Zyme with each meal, the kidney stone formation stopped and he has been pain free for over three years. Due to the kidney stones and white spots on his nails, my associate encouraged Bob to get a heart scan. His cardiologist was amazed to see calcium deposits on someone only 34 years of age. So what are the causes? The major causes of poor calcium utilization are: drinking carbonated beverages (also one of the major causes of obesity), a lack of hydrochloric acid in the stomach and antacid use. In fact it is EXTREMELY rare to have too much acid…it just feels like too much acid when it really is too little. See our website for a video on GERD or Acid Reflux. No wonder we have a calcium problem with all the antacids and acid blockers prescribed and taken by a majority of people. The body is trying to tell us something when we get indigestion, poor growth of hair and nails, and certainly as things like bone spurs, kidney stones or calcium deposits are detected. We need to listen to what our bodies are trying to tell us. Why wait for something serious to develop. Pay attention to the signs early; make a habit of looking at your nails. Do they have spots, do they crack and peel? Do you have calcium deposits around your joints? Many of you are taking calcium, that’s a good thing. Now let’s make sure you have all the correct co-factors and digestive ability to utilize it. As in many conditions, we see the need for adequate levels of hydrochloric acid. Nutraceuticals can only be purchased through health care practitioners. Email us to order.